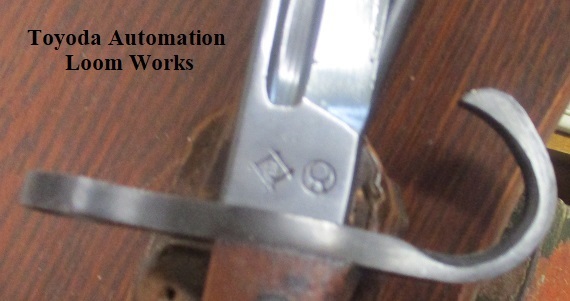 Early hook guard Arisaka bayonet with Toyoda Loom manufacturers mark with original as found leather frog. 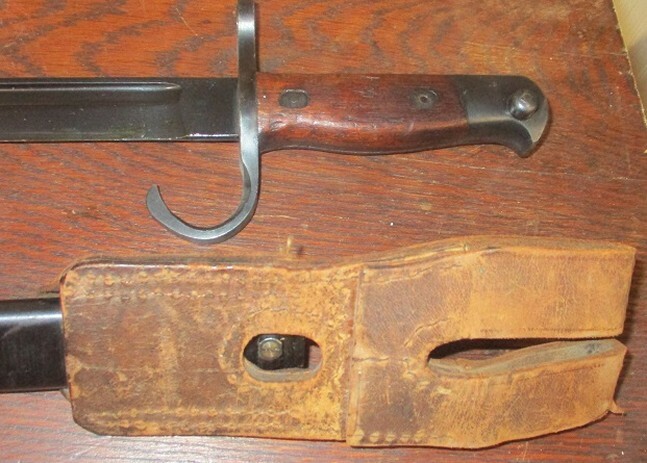 It would be tough to upgrade the condition on this one! 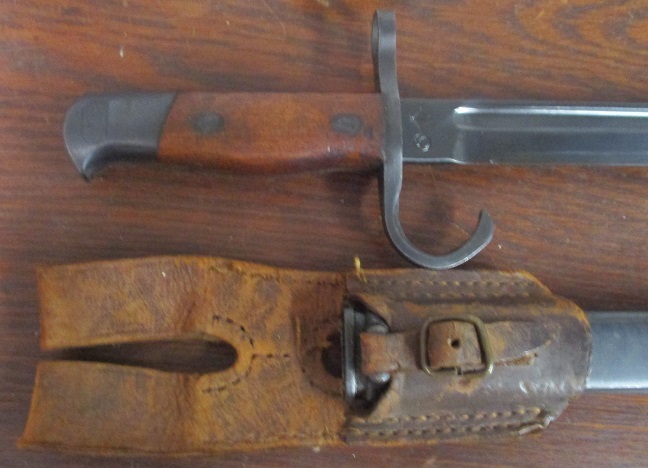 Beautiful original finish blade and fittings, excellent scabbard, no damage to the grip and clean supple leather.